Remember Charley Lau? Many considered him the greatest hitting coach in MLB history. During his 11-season big league career as a catcher and pinch-hitter however, he was never more than a part-time player with a .255 lifetime batting average. So how does a guy who was never a great hitter himself in the big leagues teach others to become one? Honestly? I don’t know. But at least Lau was a good enough hitter to make it to the big leagues. Kevin Long, the Yankees’ highly praised current hitting coach and today’s Pinstripe Birthday Celebrant, never got out of the minors. After a good college career at the University of Arizona, the Phoenix native was signed by the Royals and spent eight years trying to get an official regular season at bat in Kansas City’s Kauffman Stadium. When he failed to do so, he asked for and received a minor league coaching assignment with the Royals’ organization. The Yankees hired him in 2004 as the hitting instructor for their Triple A affiliate Columbus Clippers. In 2007, he got the same job with the parent club, succeeding Don Mattingly, who had been promoted to Joe Torre’s bench coach. During the next six seasons, Long had the benefit of working with a Yankee offense that was consistently near the top of the league’s run producers. His most notable achievements during that time were helping Curtis Granderson become a much better hitter against left-handed pitching and getting Robinson Cano to exercise more strike zone discipline. Long’s biggest challenge by far was the roster of hitters he was given to work with during the 2013 season. A series of injuries and bad deals had decimated the Yankees’ highly potent offense and Long found himself working with the likes of Vernon Wells, Travis Hafner, Lyle Overbay and Chris Stewart. There would be no miracles performed by the Yankee hitting coach with that crew. No one could possibly have been happier than Long, when the Yankees retooled their offense during the 2013 offseason by signing Brian McCann, Jacoby Ellsbury and Carlos Beltran. If Derek Jeter and Mark Teixeira can return to anything near their pre-injury hitting forms, the Yankee offense should once again score runs in bushels in 2014. That means Kevin Long will once again be recognized as one the game’s best hitting coaches. Slim pickings when it comes to October 27th Yankee birthdays. Tom Nieto was a big league backup catcher for seven seasons during the 1980s, who succeeded my high school classmate, Gary Tuck as Yankee catching coach in 2000. 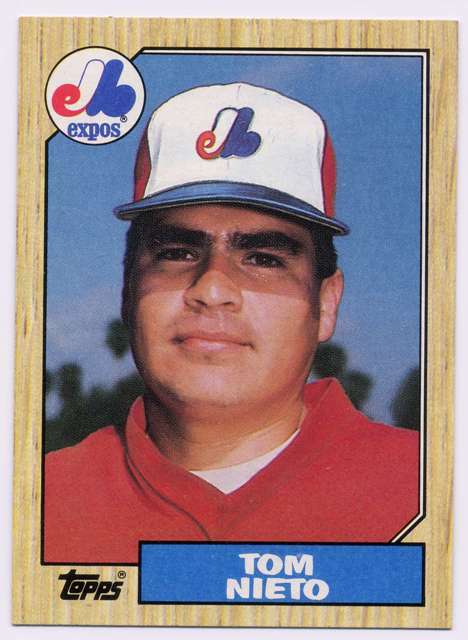 A native of California, Nieto caught for the Cards, Expos, Twins and Phillies during his playing days, but his lifetime .205 batting average kept him out of the starting lineups on all those ball clubs. He got his start with the Yankees in 1995, when he was hired as the organization’s minor league catching instructor. Two years later, he was given the managers’ job with the Yankees old South Atlantic League affiliate in Greensboro, NC. After two winning seasons there, he was promoted to the skipper’s job for the Tampa Yankees. After two seasons there, he replaced Tuck as the Yankees catching mentor. The Yanks let him go after the 2001 season and he went back to managing in the minors for the Cardinals’ organization. Then in 2004, when Willie Randolph got the Mets’ manager’s job, he made Nieto his bench coach. He’s now back with the Yankee organization, managing their Gulf Coast League affiliate, down in Florida. The only other Yankee born on this date was this long-ago outfielder. Any newspaper or Web site that covers New York Yankee baseball has offered readers some type of editorial or polling content that focuses on what changes the Yankees need to make during the winter to get back into the postseason in 2014. Who should be signed, who should be released, who should be fired, who should retire, there have been dozens of articles published, offering opinions on the offseason fate of every current Yankee employee from Robbie Cano to Brian Cashman. Permit me to throw today’s Pinstripe Birthday Celebrant into that mix. 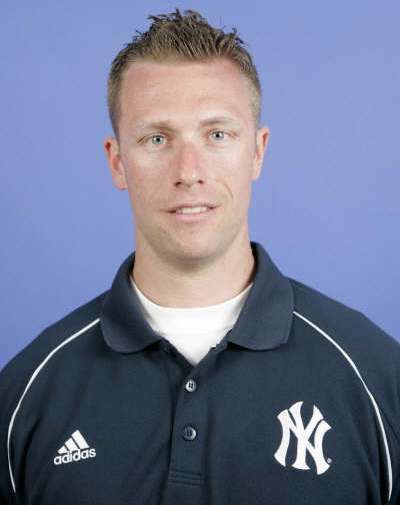 Dana Cavalea has been the Yankees’ strength and conditioning coach since 2007. Though I don’t have specific facts to back this up, I’m willing to go out on the limb here and say that the average number of Yankee injuries and disabled list assignments per season have climbed to record levels under Cavalea’s watch, peaking in 2013 when New York was forced to make 28 different disabled list assignments. You can’t blame Cavalea for broken bones but how many strained quads, rib cages, hamstrings, groins and tendons does it take before you begin to question the soundness of the team’s strength and conditioning program. I know I’m sounding a lot like George Steinbrenner here. For that matter, if the Boss were still running things in both Tampa and the Bronx, Mr. Cavalea would probably be looking for a new job right about now. I certainly know nothing about strength and conditioning strategies and techniques for modern day athletes and I’m sure Cavalea is well credentialed and highly respected in the field. But when there are more starters on the Yankee DL list than in the team’s starting line-up, something’s got to change, doesn’t it? Happy birthday Dana and please don’t take what I’ve written above personally or professionally for that matter since I have no idea what I’m talking about. I’m just burning off some of the frustration I had left over from the just completed season of sickness. The only Yankee player born on today’s date gave up playing baseball for golf. The Yankees had their own California Gold Rush in the 1920’s and ’30’s. New York’s favorite mine for the precious metal was the Pacific Coast League, which back then was the equivalent of Major League Baseball for the western United States. The team’s prospecting began with San Francisco native Tony Lazzeri who the Yanks acquired from his Salt Lake City PCL team in August of 1925. Four years later, they struck gold again when they purchased the contract of pitcher Lefty Gomez from the San Francisco Seals. Their most famous western find of course was the great Joe DiMaggio, also born in the City by the Bay and also acquired from the Seals in 1934. In between the Gomez and DiMaggio additions came Frankie “The Crow” Crosetti, who was born on today’s date in 1910 in San Francisco. He spent more seasons in a Yankee uniform than any other human being. 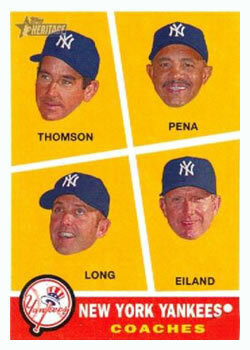 These included ten seasons as a starting shortstop, seven more as back-up shortstop and then a twenty-season tenure as New York’s third base coach. Not a force with the bat, Frankie was a good base-runner, an excellent fielder and one of the game’s all-time great sign stealers. He was also a skilled bunter and turned the act of getting hit by a pitch into an art form. He became one of Joe McCarthy’s favorite players. The Yankees of the 1920s were a rowdy bunch, led by the greatest partier and biggest kid in big league history, Babe Ruth. The Yankees of the thirties eventually became the team of Lou Gehrig and McCarthy. They were all business on the field and much more quiet and reserved off of it. Crosetti joined the Yankees as the club was in the process of transitioning from being Ruth’s team to being Gehrig’s. Picking a side was an easy choice for the Crow. Crosetti was a quiet guy off the field. In his New York Daily News obituary, the writer describes an evening after a Yankee game on the road, at the team’s hotel. Crosetti, Lazzeri and DiMaggio all came down to the lobby at the same time and sat next to each other for an hour and twenty minutes and not one of the three players said a word to each other. He finished his playing career with a .245 lifetime average. His on base percentage during that time was almost 100 points higher. He collected 1,546 hits and scored 1,006 runs. He was not a great World Series performer although in the 1936 Fall Classic he drove in six runs in New York’s four-game sweep of the Cubs and also hit his one and only postseason home run off of the great but past-his-prime, Dizzy Dean. He was also a no-nonsense Yankee coach. Crosetti often threw Yankee batting practices and he demanded that every player work on a specific hitting skill when it was their turn in the cage. If someone started swinging for the fences, Yogi Berra remembered Crosetti would actually just walk off the mound and refuse to throw the guy any more pitches. In his book “Ball Four,” Jim Bouton claimed that Crosetti was useless as a coach and hardly ever spoke to or attempted to instruct Yankee players. Ellie Howard later refuted that charge in his own book, claiming Bouton loved everybody on the team when he was pitching good and then hated and blamed everybody when his career went bad. Crosetti retired as a Yankee coach in 1968 but returned to the coaching box for a short time with both the Pilots and Twins. He died in 2002, at the age of 91. He owned 17 World Series rings. Actually, Crosetti had accumulated so many rings, the Yankees finally started giving him engraved shotguns instead. 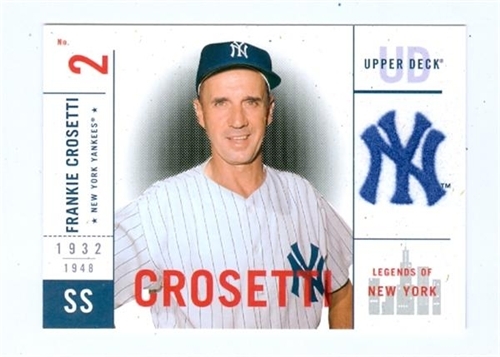 In all, Crosetti received 23 World Series paychecks as a Yankee player (9) and coach (14). They totaled $142,989.30. The Crow shares his October 4th birthday with this long ago Yankee spitballer. If you ask Joe Girardi, Jorge Posada or Jason Varitek who was the best catching instructor they ever had, each highly respected veteran receiver would answer, “Gary Tuck.” Gary was a classmate of mine in high school back in Amsterdam, NY, in the early seventies. He was the quarterback of our school’s varsity football team and the catcher on our baseball team and the thing I remember most about him in both roles was his almost flawless technique. At the time, there were better athletes available to play both positions but Tuck was smarter and worked harder than everybody else. He was a keen student of both games even way back then and he is now considered one of Major League Baseball’s most gifted catching mentors. 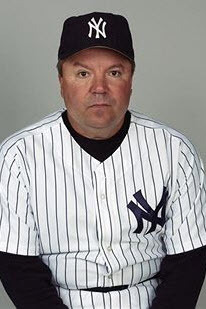 He won four World Series rings as a Yankee coach and currently serves as the Red Sox bullpen coach, where he has won a fifth ring. I’m hoping that some day, he gets a shot at managing in the big leagues. His hometown is very proud of him and all that he has accomplished. Gary shares a birthday with this former Yankee catcher and this one-time Yankee first-baseman. The Boyer family of baseball fame was a large one, seven boys and seven girls. Five of the boys played professional ball and three of them made it to the big leagues. Of those three, it was Ken Boyer who had the best career. He was a seven-time All Star at third base with the Cardinals and won five Gold Gloves (Clete won just one GG,) the NL MVP Award and a World Series during his days with St. Louis. 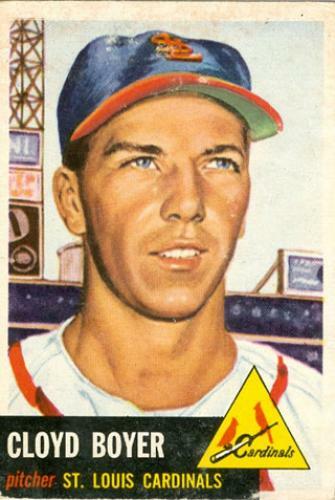 Ken was the only Major League Boyer who was never a member of the Yankee family. Unlike his younger brother, Yankee third base great Clete, Cloyd Boyer never played a game in a Yankee uniform. Instead, after a torn rotator cuff ended his pitching career, he became a very effective minor league pitching instructor for New York for many years. But perhaps his greatest Yankee achievement occurred when he managed New York’s Binghamton farm team in 1968. He was given that job specifically so he could put the finishing touches on the development of a young Thurman Munson before Munson was called up to the parent club for good. The late Yankee catcher often said he learned more from Boyer in that one season than he had from any other manager or coach in his career. The only Yankee player to be born on this date was a guy named Foster Edwards, an Ivy Leaguer who pitched for the Braves during the second half of the roaring twenties without distinction. 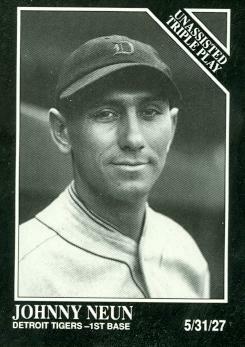 He appeared in two games for the 1930 New York Yankees, which concluded his inauspicious big league career.